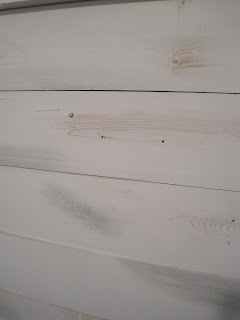 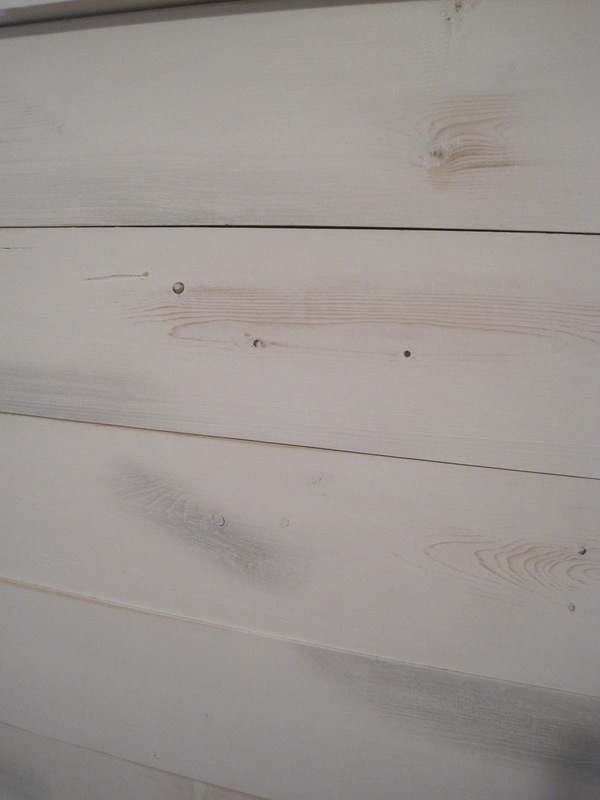 Help with building & distressing the headboard came from this tutorial. 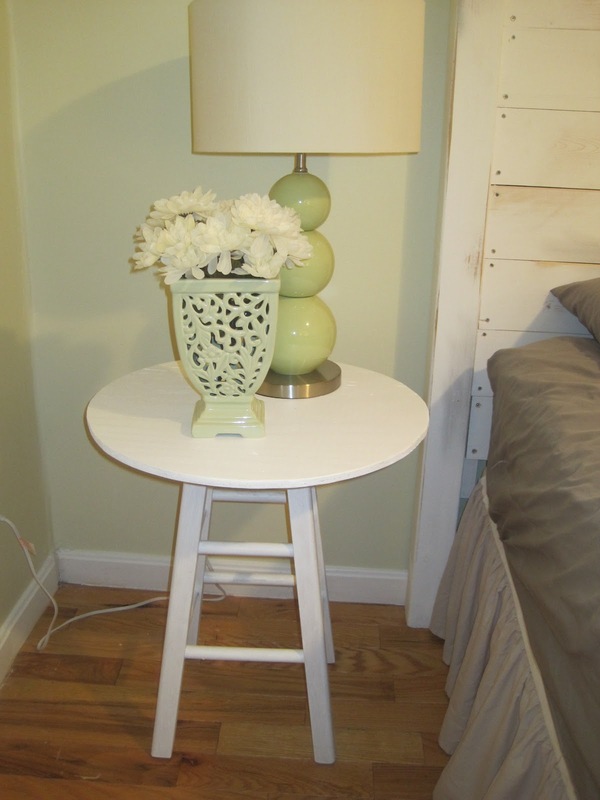 I found the side table idea here. 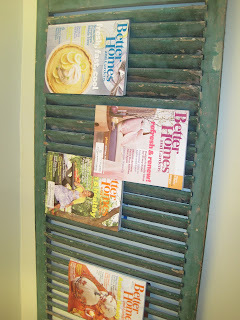 And old shutter as a magazine holder was inspired by this post.